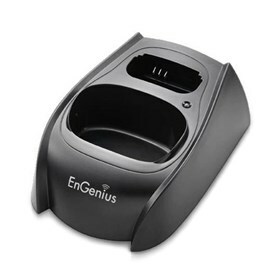 The Engenius FREESTYL1CC is a desktop cradle that is specifically designed for FreeStyl 1 handset. This desktop cradle allows can synchronize and charge your Engenius handheld. The Engenius FREESTYL1CC has many exciting features for users of all types. You can extend the lifetime of your Engenius FREESTYL1CC with the purchase of a FactoryOutletStore Factory Protection Plan. The Engenius FREESTYL1CC is sold as a Brand New Unopened Item.